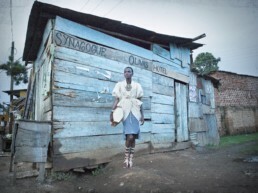 Fashion Africa Now is a platform for contemporary creative Africa. We showcase Fashion, Art, Design, Music, Writing & Film coming out of Africa & the African Diaspora and feature the names & faces behind the creative output. Showing esthetics from an African perspective, celebrating the contemporary African design scene and promoting the African creative industries in Germany and Europe – that is the name of the game! Our focus, as the name suggests, is fashion: we work to shine a spotlight on African fashion designers and the facilitate their entrée into the German and European fashion markets. Our online presence is complemented by a range of events and fashion happenings offline: runway shows, exhibitions and fashion panels, to name a few. We connect fashion designers with buyers, fashion players and the press, providing them the opportunity to showcase their work to an international audience and establishing business networks. Beatrace Angut Oola founded the creative agency APYA Productions in 2012 and launched the pioneering platform Africa Fashion Day Berlin (AFDB) in January 2013. 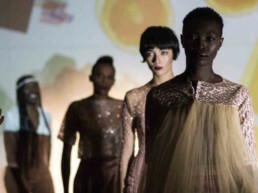 AFDB was relaunched in 2016 as Fashion Africa Now – staying true to its predecessor’s fashion roots, but also branching out into new creative fields. APYA Productions specialises in B2B & B2C connections and trade relationships for African fashion and lifestyle brands. We support our clients in realising future oriented business concepts and foster growth in the African creative industries.